Getting hosting is the second thing you'll need when creating your online business. Hosting is what your server is and your server holds all the files for your website. Your domain name sites on your server and when people visit it they see your website. So if a domain name is your house then hosting is like the land your house sits on so people can come visit you. I've decided to help you understand more about hosting, where to get it from, how to get it setup, etc. that I would create this post here on the blog so that I can answer your questions about hosting. If you have questions about hosting make sure and leave them below. I’ll answer them here and create any tutorials that you may need to learn from. Q1. I'm starting an online business. I have a domain name. Where should I get hosting for it? A1: The one I've used for years is Liquid Web. I recommend that you spend the $50 (at the time of this being written) a month on the Storm® Virtual Private Server. This will give you a WHM (web host manager) where you can add as many domain names as you want. Yes, you can get cheaper hosting, but why build your business on something that may or may not work for you. It's a business and you need to treat it like one. NOTE: I've done a video tutorial showing you how my hosting works and why I recommend it. You REALLY need to get hosting that comes with a web host manager and in this video you'll see why! 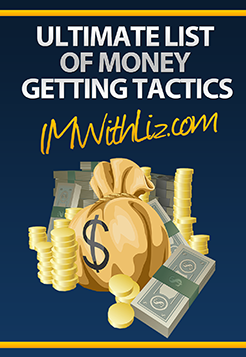 Get My Ultimate List Of Money Getting Tactics For Free! ​Now YOU can use the 25+ tactics I'm using to make money in ​YOUR online business... Just enter your name and email below to get instant access! The Truth About Social Media Traffic! Content Creation Formula Is Live! ​Get My Ultimate List Of Money Getting Tactics For Free! ​Now YOU can use the 25+ tactics I'm using to make money in my online business... Just enter your name and email below to get instant access!